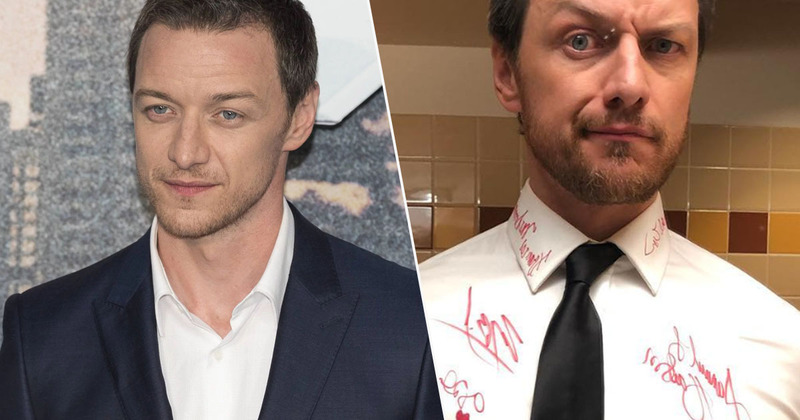 By the end of 2019’s Oscars, James McAvoy looked like he was heading home from his last day at school – except the classmates who’d signed his shirt were all huge celebrities. The 39-year-old attended the star-studded event last night (February 24), where he arrived in a classy suit complete with a clean, crisp white shirt. Later in the night, the Split actor appeared on stage to present the award for Best Sound Editing, and his shirt was still mark free. Not even a little dribble of champagne had ruined his pristine outfit. By the time the Vanity Fair Oscars Party kicked off, however, McAvoy’s body was covered with scrawling red pen marking the signatures of numerous celebrities. 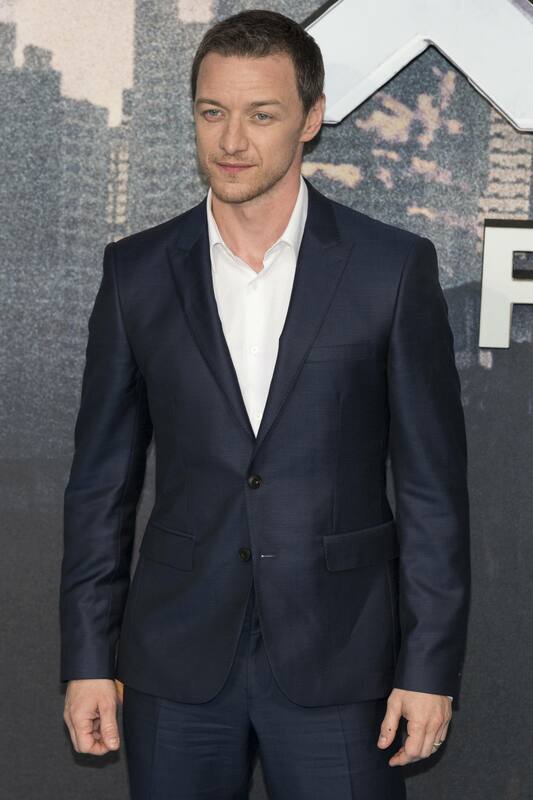 McAvoy tagged the stars who had helped make his suit into a piece of memorabilia, among who were the likes of Samuel L. Jackson, Sarah Paulson, Michael B. Jordan, Brie Larson, and Karamo Brown. It looks like one person in particular got a bit caught up in all the excitement, as one mysterious autograph is accompanied by a big arrow pointing quite literally below the belt. As celebrities tend to be dressed by big designer names for events like the Academy Awards, there’s a good chance McAvoy’s shirt was quite a pricey piece of material – almost definitely too expensive for people to go scrawling on it in Sharpie – but it turns out there’s some logic behind the whole thing. Speaking to Vanity Fair, McAvoy revealed he’s going to auction the shirt off for charity. While I’m sure some adoring fans would happily pay hundreds to get their hands on anything the actor has touched, the celebrity signatures combined with its Oscars appearance is certainly going to raise the price of the item! The 39-year-old explained the whole signing fiasco began when he was backstage having a drink at the awards show. While hanging out with his fellow celebs, the actor spotted a red Sharpie on the floor. I’m sure you can guess what happened next. McAvoy picked it up, asked a nearby star to sign his shirt, and the whole thing spiralled from there. It’s certainly a great way to make money for charity, and definitely the most impressive selection of shirt signatures I’ve ever seen!